Specialty 146 encore entrance mat. Encore is an entrance mat that uses a combination of scraping and looped pile Decalon drying yarns in a linear pattern, to facilitate the scraping function and begin the drying process. 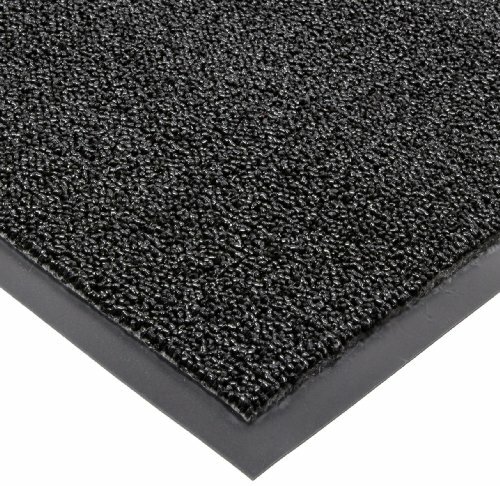 It can be used as a stand-alone mat, or as part of the Stages coordinated entrance matting system. The Encore mat construction is 80 percent Decalon drying yarn and 20 percent Prelude scraping yarn. The Intermission mat is 50 percent Decalon drying yarn and 50 percent Prelude yarn. Test - Test Description - Results: (1) Abrasion Resistance ASTM D3884-01 - Test specimen is subjected to the rubbing action of two abrading wheels under controlled conditions. Results measured in Weight loss (Grams) - 1.27. (2) Accelerated Wear - Test specimen is subjected to the action of rollers under a specified load. Sample is rotated 10 degree after each pass. Results measured in thickness loss (percent) - 13.91 percent. (3) Accelerated Soiling ASTM D6540-00 - Test specimen is subjected to an accelerated soiling process. for a predetermined length of time. The sample is vacuumed, rated, submitted to an extraction device, then rated again. - (Based on visual inspection) 4.5 - Vacuum Rating 5 - Rating After Extraction. (4) Water Retention - Test specimen is submerged in water for 5 minutes, removed, drained for 15 seconds and weighed. Results measured in weight gain. (Gallons per square yard). - 0.50. (5) Flammability ASTM D28S59E (CPSC FF 1-7E0) - Intended to measure the mattings response to an ignition source in a controlled environment. The uncharred area of the test specimen must be greater than 1 inch to pass. - 3.5 Inches. Available in black color. Use for inside foyer area - main entranceways, all heavy traffic areas. If you have any questions about this product by NoTrax, contact us by completing and submitting the form below. If you are looking for a specif part number, please include it with your message.